The bottled chewing gum cannot be wrapped up like the ones with paper package. 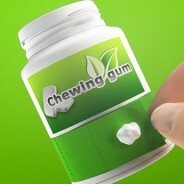 The popularity of bottled chewing gums is accompanied by people ‘having to’ pollute the environment. 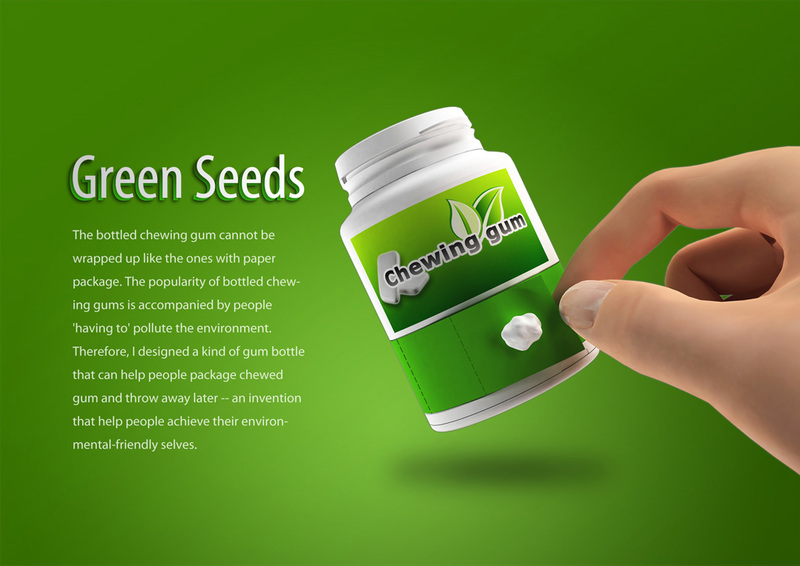 Therefore, I designed a kind of gum bottle that can help people package chewed gum and throw away later — an invention that help people achieve their environmental-friendly selves. . I named it ‘Green Seeds’, because I believe that for the nature, less pollution equals more affection. 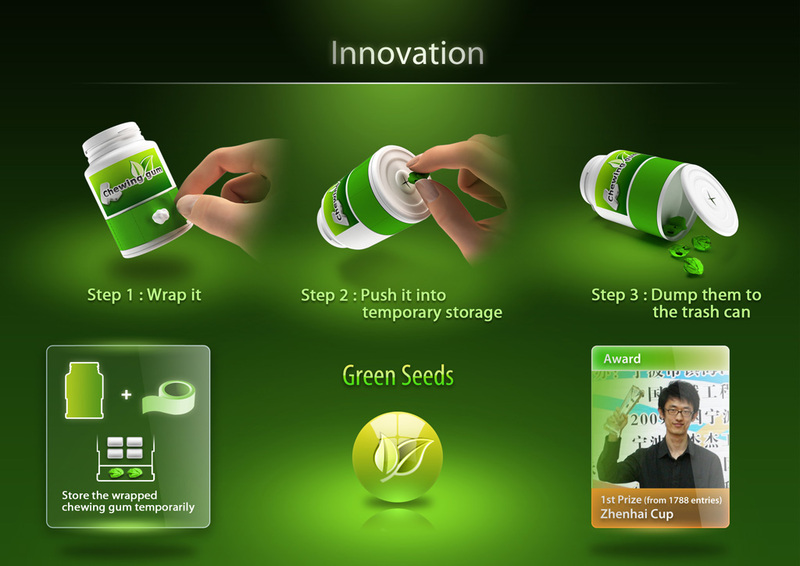 This design won the first prize in “Zhenhai Cup”. I believe designers not only should design products that are easy to use, but also ones that can help people achieve their better selves. 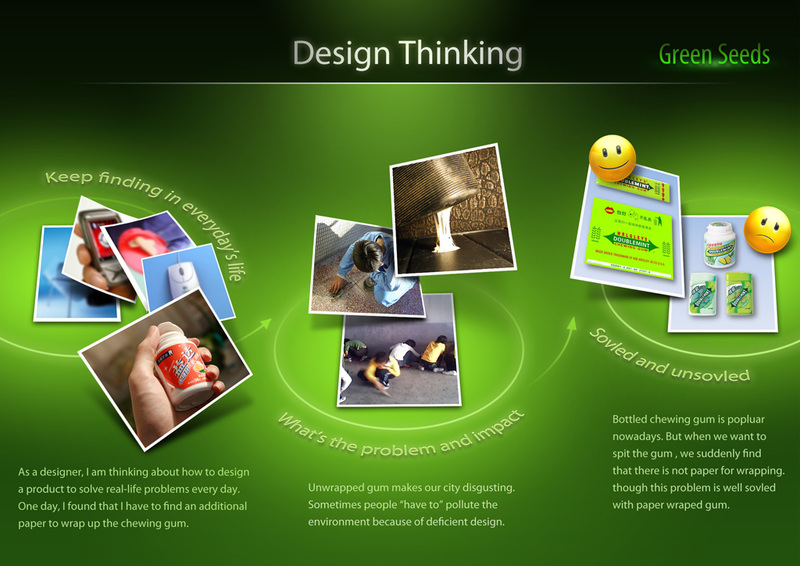 A good product is just like a good book, bringing changes to people’s life, improving them, and solving their problems.